Innovation in the travel service and advertising industry – Tachain! TAChain platform offers great opportunities to the travel and advertising industry by inducing the advantages of blockchain into the current market! The advertising costs is slowly growing by the day making the market a bigger industry as time pass by. With TAChain platform, advertising will costs a lot cheaper and target a more specific group of target markets. Tachain has been created by professional team of software engineers and business developers in 2017. Tachain is the synergy of three elements: travel and transport application “Tachain Transportal”, advertising platform “Tachain AdNet” and token exchange marketplace “Tachain TMARQ”. Tachain is planning to create AdNet so that application users would be able to watch advertisements while driving in a taxi, public or any other transport and earn TCHN tokens for this. Advertisers will need TCHN tokens to get access to the platform and run their ads. Advertisers will pay app users TCHN tokens for watching targeted ads. They are creating the platform for advertisers and advertising agencies. Every element of the platform will get benefits based on market conditions of supply and demand. Users of Tachain application — taxi or public transport passengers — will also get benefits. AdNet is revolutionary platform, which will allow passengers to watch advertisements, participate in branding marketing events, lotteries, games right during their ride and earn TCHN tokens for doing that. Different types of advertising options will be added together with the growth of Tachain business, preparation of technical and legal base for operations with each advertising source. 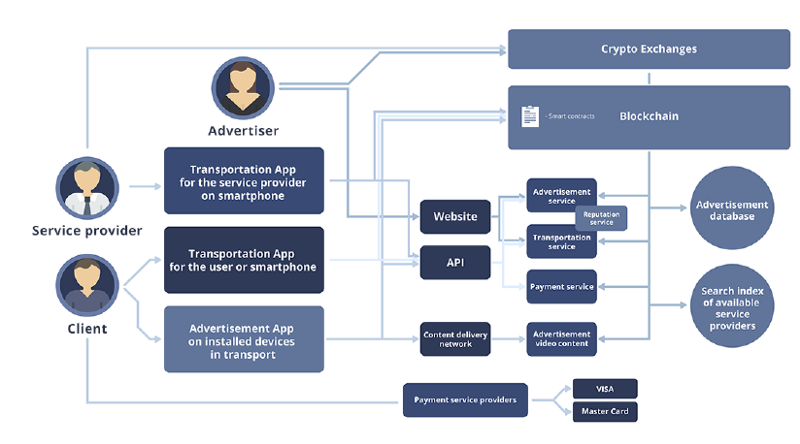 Their advertising platforms will be available for: taxi service applications, screens in taxis, advertising stands in public and road transport, public rail transport, external advertising stands, Tachain Flame device, some specific Internet portals that are compliant with Their technical and business requirements. Tachain is aiming to make our life easier in an innovative way. With the use of technology Tachain connects users and transportation services together. Today through mobile applications people are planning their routes and Tachain allowing them to earn while driving by watching targeted advertisments. People earn Tachain tokens for watching ads. Tachain is committed to bring the advertising sector to a new level with augmented reality (AR) advertisement. Tachain was created in 2017 by software engineers and business developers. 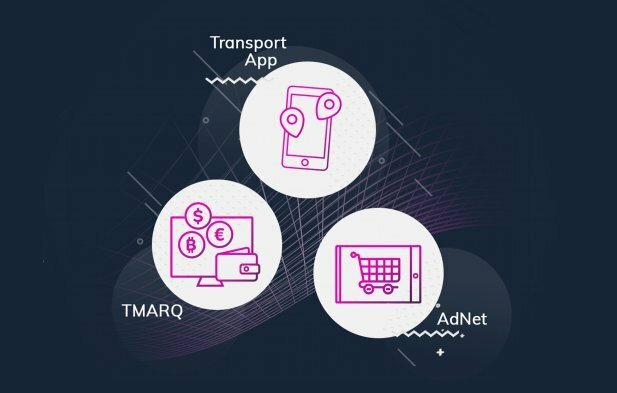 Tachain has transportation service application called Tachain Transportal, advertising service -Tachain AdNet_ and token marketplace Tachain TMARQ. Presently Tachain has taxi booking service and providing best user experience with improved technology features like screens in taxi. Currently Tachain has expanded its services in Philippines and is planning to expand it to city of Malina with 3000 taxi by October 2018. Deliver flexible API for publishers of Their platform. Provide advertisers with flexible and resourceful advertising platform. Deliver user friendly safe and transparent solution for drivers and passengers. Provide additional revenue stream for all transportation chain participants. To create user-friendly token market platform, where all the market players can exchange or purchase TCHN tokens. The architecture of Tachain project is heavily based on blockchain and smart contracts. It allows to ensure transparency of system and strict execution of financial obligations and contract terms. Also they are going to build comprehensive IT infrastructure around blockchain to provide best possible service to their customers. The key customers for Their project are passengers, transportation agents and advertisers. Passengers and transportation service providers will work without system by using mobile applications on their smartphones. For example, the taxi driver application will be integrated with Apple CarPlay and Android Auto technologies, so it will be possible to work with application directly from car’s built-in display. The advertisers will manage their ads campaigns via web site. The mobile applications will work simultaneously with public blockchain and Application Programming Interface (API) on Their servers. Applications will use blockchain to interact with smart contracts. API will be used by mobile applications to perform more sophisticated operations. For instance, passengers will search for available taxis considering their geographical location and their preferences about reputation of taxi driver and price of taxi service. Real-time geographical location of passenger and taxi driver will be automatically detected by mobile application using GPS module located in their smartphones. The project will store all information in the public blockchain and They have very specific requirements for blockchain which They will use. The blockchain should support smart contracts, the transaction execution should be fast enough, and transaction fee should be low. They consider that EOS blockchain is the best choice for Their project, but They plan to perform testing of Their scenarios with other blockchains as well before coming to final decision. The business logics and rules how Their customers will interact with each other in Tachain network will be formulated in form of smart contracts. All Their smart contracts will be carefully developed and tested. Tachain is a very promising project which aims to innovate transportation and advertising industry with blockchain technology. With Tachain we are going to experience a new way of traveling where we can enjoy and earn while on a trip. 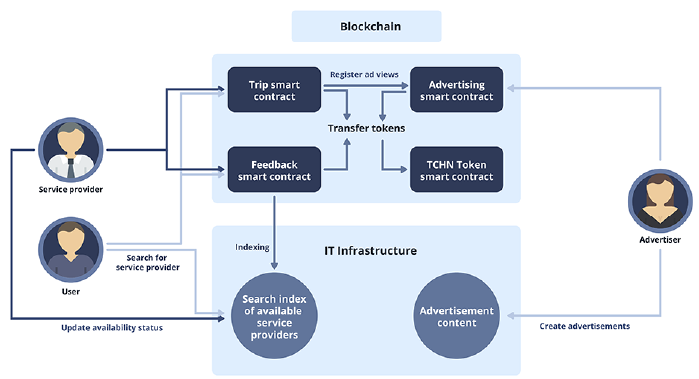 Tachain TMARQ helps to tokenize both industry for smooth payment processing, Tachain AdNet serves targeted ads which helps to earn while on trip. And Tachain transportal which is already providing best taxi service is committed to improve with technology. Together all, Tachain will improve the user experience with most advanced technology implementation. It is an amazing project to invest.